Ah, it's fall! And the delicious smell of pumpkin spices fills the air once again. This has become one of my favorite times of the year—in large part because of all the pumpkin-flavored things everywhere. I'm definitely a fan of the pumpkin spice phenomenon, but my wife, Sonia, is an even bigger pumpkin aficionado. No, she's not a Basic White Girl, but she does have some BWG tendencies. 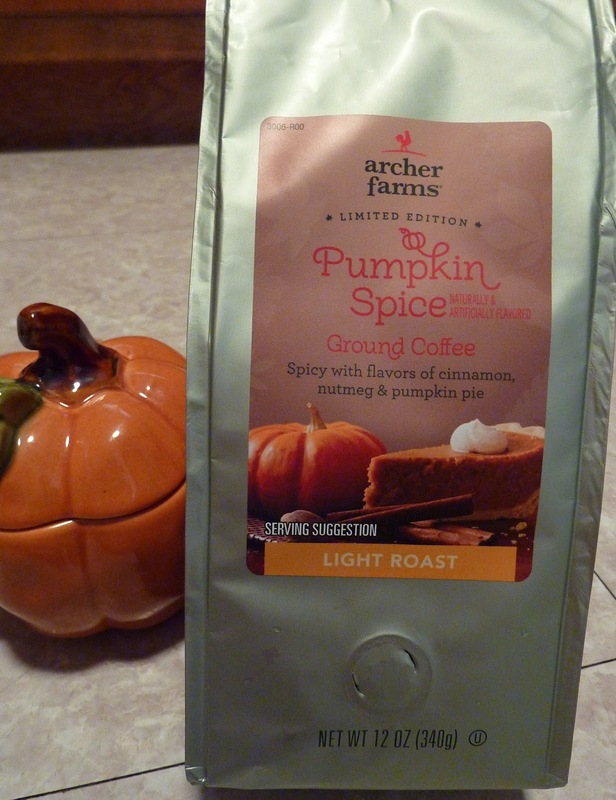 This Archer Farms Pumpkin Spice coffee is one of them. But I must admit, it's pretty tasty. We still haven't had much luck finding pumpkin stuff in our local Targets—just some Pumpkin Spice Oatmeal and some Pumpkin Salsa, of all things, both of which are decent but not stellar. I'd rank this coffee in front of all AF pumpkin stuff at this point. It's a really mild coffee, light roast, and it has a great blend of subtle pumpkin pie type spices. It's not at all bitter. For some reason, coffee always tastes better to me when made in a French press. So that's how we made ours. A touch of cream and sugar certainly helps with this brew, but you don't really need much, which is good. Sonia raves about this coffee. She's an even bigger fan than I am. And as it stands, I'm gonna give it 9 out of 10 stars on my deliciousness scale. As I've mentioned before, I am not a coffee connoisseur, so take my opinion with a grain of salt—but if you want my bottom line as an amateur: as far as mild coffees with pumpkin spices go, this one's among the first I'd check out. This coffee gets 9 out of 10 stars.